This 11 oz. 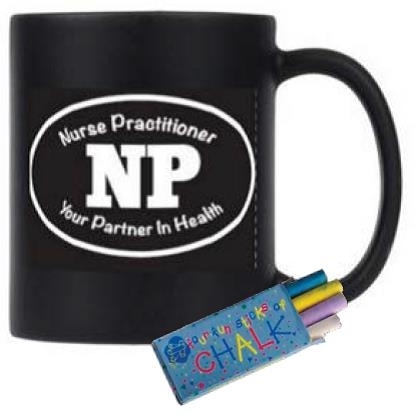 chalkboard mug features an innovative write-on/erasable chalkboard finish. With the NP logo on one side and the other side blank for your own personal messages, this mug adds fun to everyone's day!